Look at this beautiful sailboat that stopped by for fuel. I was able to catch this on my morning stroll around St.James Plantation. 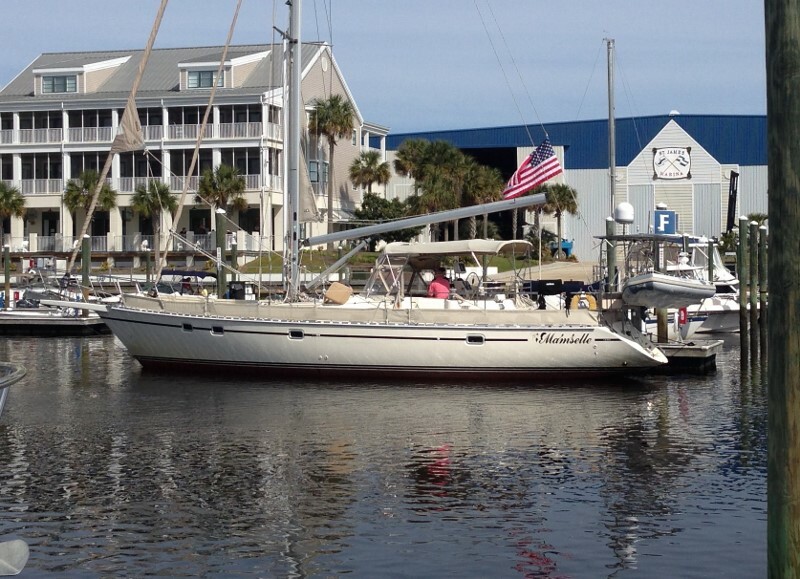 One of the main reasons, we see sailboats is because of our Full-service Marina! St. James Marina is located in St. James Plantation right outside Southport, North Carolina. Located at Mile Market 315, St. James Marina offers easy access to the Intracoastal Waterway as well as the Atlantic Ocean. A full service marina with everything you need right on site. Along with our 155 Wet slips we can also house 320 boats in our dry storage facility, ranging from 15 to 34 feet. Our dry storage facility keeps your boat out of the water and the elements, but can be available at the dock with just a one hour notice. If you want a home and you need marina services, you have come to the right place. We have several homes with boat slips on the market for you to look at! Come and be my newest neighbor!